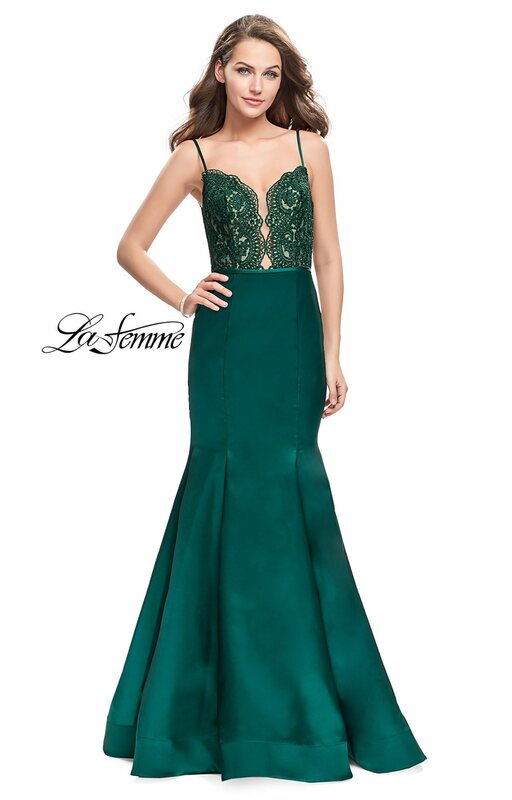 Be stylish while wearing this La Femme 25751 Mikado mermaid dress. This dress has a plunging neckline and an open back. The bodice is lace and the skirt material is a fitted mikado material. 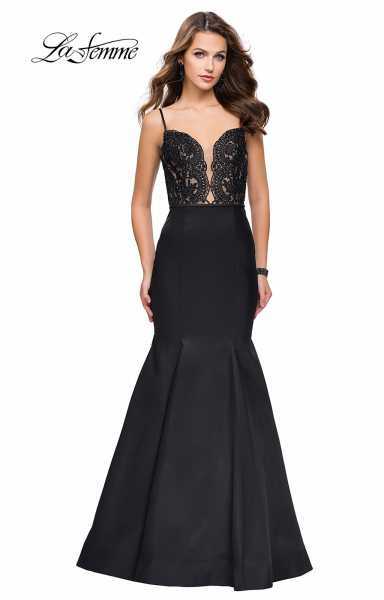 The mermaid style is so slimming because it gives you the perfect hourglass figure.